Just the other day, both the unlocked and AT&T branded versions of the BlackBerry Priv received a software update. This paved the way for today's move by BlackBerry to update a few system apps in the Google Play Store. The updates added new features, killed bugs and improved the stability of the phone for owners of BlackBerry's first Android powered handset. BlackBerry Camera now supports widescreen (16:9) pictures, offers faster performance, and has added an indicator for HDR and low-light scenes. The update includes bug fixes and stability improvements. Ukrainian and Belarusian translit are two of the 20 new languages supported on the virtual QWERTY following the update to BlackBerry Keyboard. Emoji predictions are added, and the cursor for the physical keyboard is now more sensitive. Other new features can be found at Settings > Language & input > BlackBerry Keyboard Settings. The BlackBerry Calendar and BlackBerry Launcher both received minor bug fixes and security improvements, and security app DTEK now allows you to turn notifications on for all apps at once. Or, you can turn on notifications by equipment type. Another, larger DTEK update is expected to hit the Priv soon. BlackBerry Services has been updated to allow WhatsApp notifications to be found in the Hub. And an update to BlackBerry Hub and BlackBerry Contacts will allow you to change the order in which conversations are stored. All of these updates are available in the Google Play Store. Hit the hamburger menu on the top left corner, and click on My apps and games. This is the perfect example why many manufacturers, like Motorola and HTC, offer system apps in the Google Play Store. Priv owners merely have to update a few apps rather than wait for a complete system update that would probably be delayed while AT&T was testing it. The Priv is one of the worst phones of 2015. We all know which is the best ! The Priv is actually one of the most unique handsets of 2015. 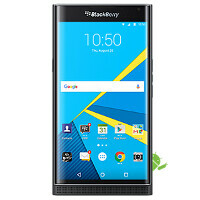 It's merging of BlackBerry Services and Android definitely qualify it as one of the best handsets of 2015. But don't let the truth get in the way of a good story. Carry on. Do explain why it's one of the worst. It just is not as good as an iPhone! Tell that to the battery hump!!! Hump hump all the way with the new battery pack lol. I wouldn't call it the worst. It just isn't as good as it could have been, but certainly not a bad start. Now this is welcome news indeed. Looks like BlackBerry is sticking to their word about quick updates. It's amazing how Blackberry's apps are so polished and embrace Material Design so well. In my honest opinion it seems like they've done a much better job than most manufacturers who've had years of Android experience behind them.